Writing a company bio, and adapting it to suit the many different social media channels, is not an easy process. Each social media site has different parameters for account bios. And each audience has different needs and expectations as to what information your bio should display. That’s why we have put together this guide on ‘How to write a bio’, walking you through exact specifications, and top tips, for each social media channel bio. Basic strategies on how to write a bio for social media. How to write a bio for Instagram. Writing a bio for Twitter. Creating a bio for Pinterest. How to write a bio for Facebook. By the end of reading, you will be well equipped to write effective bios across a range of social media channels. So let’s start by considering the basics of how to write a bio. Your bio is the perfect opportunity to promote your brand and attract new customers and followers. By creating an interesting and inspiring bio for each social media channel, you will be able to connect with your target audience and help your company achieve its goals. The key elements of a successful bio differ depending on the social platform and the type of business you have. However, there are a couple of basic strategies that you should take into consideration, whatever social channel you are composing your company bio for. Most bios are limited by word count. And even if they aren’t, no one will stick around to read a waffling bio. So make sure your bio is concise and tells your audience immediately what you are about. Niche, products or services – Explain what it is you do, what you are offering, or what niche you specialize in, so you can immediately connect with your target audience. Qualifications and experience – Recommend yourself to your readers by explaining who you are and why you are an expert in your field. Values and beliefs – For some brands, sharing values and beliefs is crucial if you want to engage with your audience and build a relationship. Your bio will represent your business and should reflect your brand’s tone of voice. However, you will need to adapt your bio to work on the many different social media channels. As you make these adaptations, make sure your tone of voice stays consistent, and your brand’s voice can be heard in each bio. A touch of humor, especially on certain social media channels, can also help your audience relate to your brand. Successful bios will appeal to different audiences, and make use of the different ‘extra’ engagement features that each social platform promote. 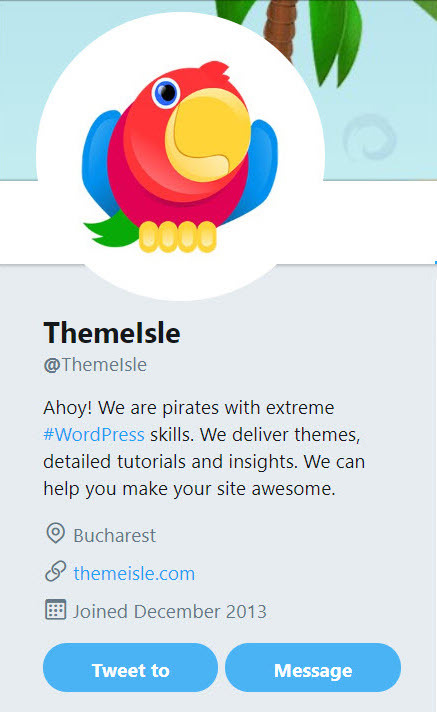 These extras include hashtags, emojis, links, and calls-to-action, to name a few, and should only be used in a bio if relevant to the particular social channel you are writing the bio for. For example, when writing a bio for Instagram, you should include emojis and hashtags. A bio on Twitter may see you using @ and hashtags. And on Facebook, as part of your About summary, you may want to include a map of how to find your business. 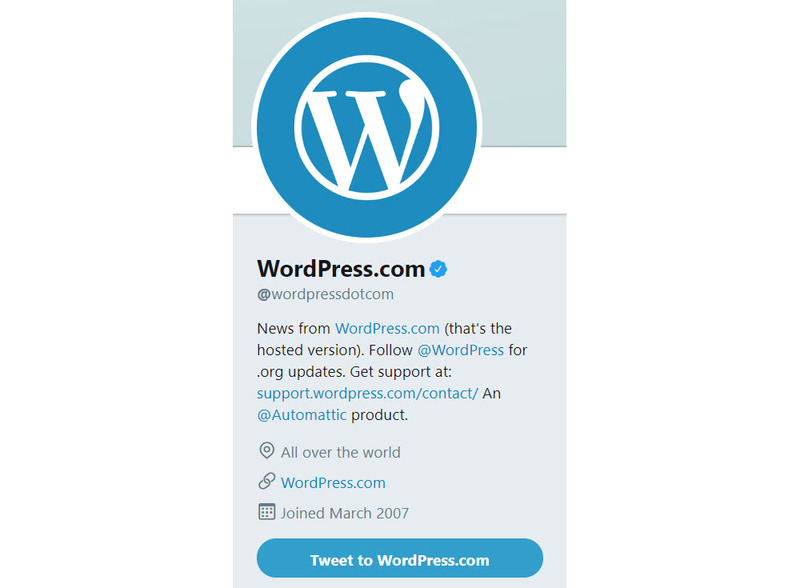 By adding ‘extras’ to each bio that relate specifically to each social platform, you will ensure you are catering to the needs of each social channel and audience. Each social media channel will let you provide a plethora of information via your bio. However, you don’t want to overwhelm your social media followers with excess info. Your bio should always be punchy and to the point, quickly enabling users to take in the most important aspects of your bio in just a glance. Choose the information you display based on social media goals for the business. If your goal is to drive more traffic to your website, display a URL, and a call-to-action encouraging people to click through. However, if your goal is lead generation, display an email address, or link to a landing page. So now you have a good idea of some general points to bear in mind when you are creating bios for the different social media channels. Let’s next look in depth at the specifics of how to write a bio for each individual social platform. There are a number of elements that you can utilize to ensure your Instagram bio and profile engages with your audience and converts against your goals. Open your Instagram profile account and select Edit Profile. Here you will see numerous options for editing your profile. So let’s start by looking at what your Instagram bio should contain. Text – Instagram allows you 150 characters for your bio (which includes emojis and hashtags) So keep sentences short and punchy. Emojis – Emojis are an effective way to grab Instagrammers’ attention and make a point. Use them instead of words to save on characters, break up content, and to give your bio a fun, fresh feel. Branded hashtag – Using your brand’s hashtag in your bio is a must. A hashtag specific to your brand will enable your followers to share content with you, and create an Insta-community around your business. Call-to-action – As part of your bio text you should add a call-to-action. Try and link the call-to-action to one of your current goals. (For example, pushing sales on your eCommerce store, increasing lead generation, or driving traffic to your website). Website URL – Separate from your 150 characters, Instagram allows you to display one clickable link at the bottom of your bio. Again, this link should be related to business goals, so depending on what these are you could display a link to your newest blog content, most popular product, or a contact page. Name field – Different from your Username, the Name field is 30 characters long and is used in Instagram SEO. Add relevant keywords in the Name field, as well as emojis (which can also be searched for) to help your brand rank well in Instagram searches. Profile picture – This should be your company logo or an image that is easily identifiable to your followers. Use this image across social media, on your website, and in marketing campaigns, to consequently help make your brand immediately recognizable. By converting to Instagram Business, which is a quick and free process, you can also add and display contact information underneath your Instagram bio. This includes an email address, telephone number, or physical address of a store. This is a great way to free up space within your bio and still have clear contact information available to your followers. As you can see, there are numerous elements to creating a successful Instagram bio. Remember, your Instagram bio isn’t set in stone. In-line with your business goals and the response of your audience, you can regularly change the URL, call-to-action, and more. The Twitter bio is made up of only 160 characters. So what should you include? Keywords – For those trying to build a following, use industry-specific keywords that your audience will be searching for. This will help your Twitter bio appear in search results and your target audience easily find you. Use @ – If your brand has multiple Twitter accounts, or sister businesses then link to them within your bio. Hashtags – Again help your audience easily find you by using appropriate hashtags relevant to your niche. You can also promote your branded hashtag here to help grow an interactive community. Make sure your bio isn’t too spammy, consisting of just links and hashtags. A Twitter bio is a quick summary of who you are, what you are offering, and/or what you have achieved. Make it short, snappy, and relevant to your target audience. Add your business name and location to help your followers immediately identify you. Change your profile photo to your company logo to create a consistent image across your website and social media channels. Add your website, or an appropriate URL that you want to drive traffic to. You can also pin a tweet to the top of your profile page. This helps provide further details about your company and extra attention-grabbing visuals. 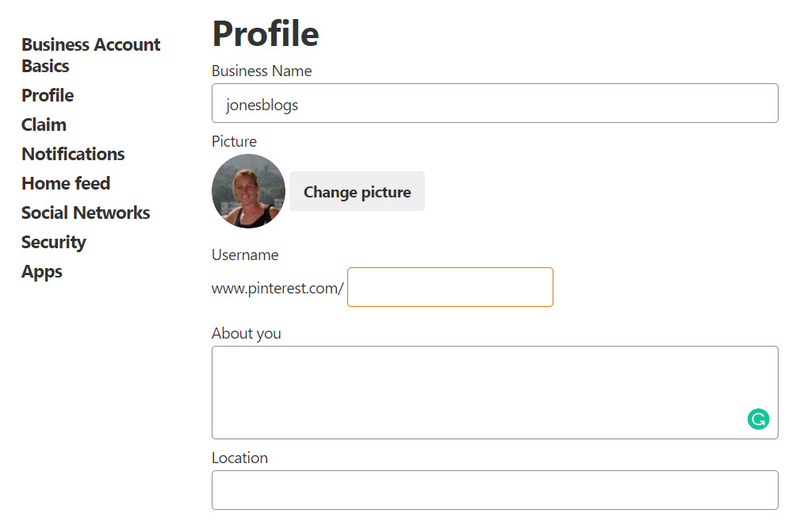 To edit your Pinterest profile and bio, select Settings > Profile from the top right-hand corner of the screen. Text – Like Twitter, Pinterest also only provides 160 characters for your bio. So play around with your sentences and get creative, summarizing your business and what it stands for in a quick, brief statement. Keywords – Include keywords within your bio that your target audience will be searching for. Call-to-action – Many Pinterest bios contain a call-to-action. As mentioned earlier, link your call-to-action to business goals, for example growing your Pinterest following or driving traffic to your website. When adding keywords and a call-to-action into your Pinterest bio, make sure they don’t affect the readability of your bio. You want your bio to engage with your audience. Therefore, ensure the keywords integrate fluently with the rest of the text. Within the Pinterest profile there are some extra elements that will add value to your bio. Business name – Add your business name and your tagline or the industry you specialize in. Profile picture – Use your company logo or a recognizable brand image. Website link – Under Settings > Claim add your web address to help drive traffic to your site. Social media links – Under Settings > Social Networks you can connect your Pinterest account to your Facebook and Google accounts. By upgrading to Pinterest Business, a free tool, you will be able to view your profile’s analytics. One of these metrics is Clicks, which shares the amount of traffic that your Pinterest profile is driving to your website. Test out different sentence variations and call-to-actions to see what language most appeals to your audience and earns you the most click-throughs. Facebook allows for a much more extensive profile experience, letting you add numerous contact details, information and history about your business, a map of your premises, and much more. However, the actual bio box is constrained to 160 characters. Open your Facebook business page and from the left-hand side menu select About. Scroll down and under More Info > About you can add your bio. As the About section enables you to add so much extra information about your business, your bio can be as simple as your company tagline. Equally, you can use it to grab your readers attention and explain what your business is about and why your followers need it. The choice of how to write a bio for Facebook is all yours. General – Here you need to add your business name, and your Facebook username. These will both be displayed on the left-hand side of your Facebook page, underneath your profile picture. Business info – You can add your website URL, email address, phone number, and links to a number of social media accounts, to enable your followers to easily contact you. Find us – Select Edit Page info, and under Location you can add your businesses address and opt to display a map, helping followers to find you. Milestones – Select Settings > Milestones to add extra information about important dated events. Add a button – Add a button linking to your website, a landing page, shop, or somewhere else. Don’t feel you need to fill in all the About page fields. Just complete the ones that are relevant to your business and that your audience will find useful. Learning how to write a bio that works for each social media platform is essential if you want to experience marketing success. Consistency across the social media channels, as well as subtle adaptations, is key. Once created, monitor each bio to see if they are engaging your audience and helping your business convert against its goals. And remember, bios can and should be changed regularly to ensure they remain relevant to your business and audience. Have you got any top tips on how to write a bio? If so, please share them in the comments below! The post How to Write a Bio for Business Profiles on Social Media appeared first on Revive Social.